Qatar Airways (QA) has increased passenger baggage allowance up to 10 kgs on its worldwide routes, the national carrier said Tuesday. “Effective 1 September 2013, passengers flying Qatar Airways routes worldwide will have enhanced baggage allowances with additional baggage weight allowed per person,” QA said in a media statement today. Economy weight allowances have increased from 23kg to 30kg while Business and First Class have each increased from 30kg and 40kg to 40kg and 50kg respectively. The number of bags remains the same and dependent on the type of ticket purchased. The increased weight allowance does not apply when travelling to points that are regulated by per-piece allowance. 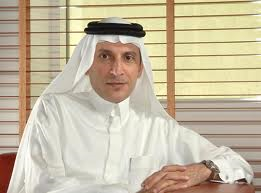 QA Chief Executive Officer Akbar Al Baker said, “Revising our standard baggage allowance comes at a time whereby the number of destinations we fly is increasing and our global reach is broadening. “The number of customers we see travelling for longer periods of time, whether for business or on holiday, reflects the necessity for increased baggage allowance no matter their destination. Those passengers who have travelled prior to 1st September will be able to take advantage of the increased baggage allowance on their return trip if travel is on September 1 or later. The carrier will also publish new Excess Baggage rates in September which will also see an increase. Passengers will be able to purchase Excess Baggage at discounted rates of up to 20% on qatarairways.com. Privilege Club members will continue to enjoy excess baggage allowance in addition to the new increased baggage allowance. QA has seen rapid growth in just 16 years of operations, currently flying a modern fleet of 129 aircraft to 128 key business and leisure destinations across Europe, Middle East, Africa, Asia Pacific and The Americas. QA has, so far this year, launched six destinations Gassim (Saudi Arabia), Najaf (Iraq), Phnom Penh (Cambodia), Chicago (USA), Salalah (Oman), Basra (Iraq) and now Sulaymaniyah (Iraq).